Did the Sherlock Room and it was actually fun. Some of the clues we're a little challenging and some of prop/clues didn't work but overall it was a good experience. Will definitely come back and try a different room. Employees were pretty cool too. Challenge the greatest detective of all time - Sherlock Holmes! His mind works in all kind of unique ways, but you can try and live up to his glory! 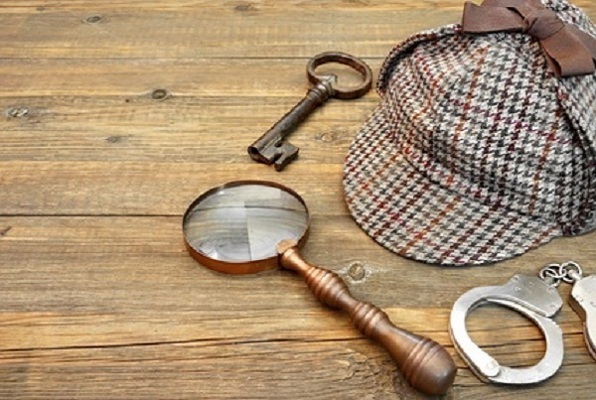 Use your sleuth, observation and deduction to escape this room! Reviews of escape game "The Sherlock"
This was awesome! Just solved "Sherlock" with 12:37 to spare. Can't wait to do another one! This place is great!! We did the Sherlock and Atelophobia. Can not wait till we come back with more people to do the Saw room which requires 5. Same price as other escape places $35 per person with a $25 back to back discount if you do a second room. It was a total blast! 2 of us entered the Sherlock room and we exited the room with 12:37 left! I would highly recommend this activity! A few of us really enjoy the BBC's Sherlock TV series and we also wanted to try an escape room here in Vegas. It was perfect! Awesome staff, amazing room, very tricky, but we managed to solve the Sherlock room with almost 19 minutes to spare! Mycroft would be proud... on the other hand, Moriarty would not! Highly recommended! Go book now! GO!